When negligence causes serious harm, it's important that the injury victim seem legal help from an experienced attorney. A lawyer can help seek damages to cover medical expenses and to punish the negligent party for their actions. Many people throughout San Diego have come to us for such assistance given our record of excellence. In severe or catastrophic personal injury lawsuits, emergency medical treatment may not suffice. Some injuries may be so serious in nature that long-term, perhaps even lifelong, medical attention may be require. If you are involved in a major accident or collision, it can have dire consequences that affect the rest of your life. Major injuries can lasting damage to different parts of your body. My medical treatments can mend many wounds and restore overall function of broken limbs, there are cases in which the damage that has been done is irreversible. These kinds of injuries could leave victims with lasting disabilities. Paraplegia refers to cases in which a person suffers sever injury to the mid-to-lower spinal cord. When this occurs, the injury victim permanently loses the loss of sensation and use of their lower extremities. This means paraplegics cannot walk, and will be bound to a wheelchair for the rest of their lives. Quadriplegia involves severe spinal cord injuries to the topmost vertebrae located in the neck and upper back area. When this sort of injury occurs, a person loses total use of all their limbs. Not only will they be bound to a wheelchair for the rest of their life, but they will also need considerable personal assistance to do all everyday tasks. Medical monitoring is also necessary since quadriplegics have unique health needs given their disability; some quadriplegics require a machine to help them breathe in and out. Major accidents and injuries can sometimes claim a person's limb or multiple limbs. When missing a hand, an arm, or a leg, there are serious challenges that involve getting around and accomplishing everyday tasks. Writing notes, getting dressed, or even getting around outdoors can be extremely difficult. Sometimes the limb is not lost, but an accident impairs a person's ability to use that limb as a result of serious nerve damage or muscle damage. In both of these cases, similar challenges arise regarding everyday tasks we often take for granted. The spine and your limbs aren't the only causes for concern. Long-term disabilities can also result from serious head trauma and brain injuries. Following severe collisions and major falls, people who suffer from brain injuries can experience physical and mental impairments that place limits on their lives and livelihoods. Muscle control and coordination may be adversely impacted, as can cognition, memory, speech, and other mental faculties. When an injury results in a lifelong disability, the costs of such harm can be immense. 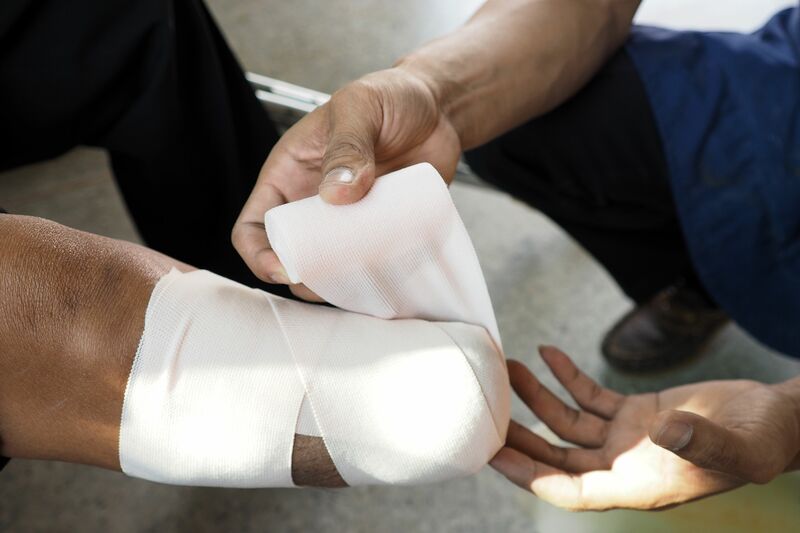 An injury victim may no longer be able to pursue a career or care for themselves. Long-term medical care may also be required, including physical rehabilitation and other types of therapy. A personal injury attorney can focus on the legal matters and filings, freeing your time to focus on recovery and wellness. This peace of mind may be invaluable given the many struggles that lay ahead. For more information about personal injury lawsuits and your legal rights and options, be sure to contact an experienced personal injury attorney today. We will fight for you in your time of legal need.